Mindfulness is the mental muscle that allows us to “downshift” from a high mental gear like problem-solving and thinking into a lower mental gear like observing and simply being aware of the present moment. Most of us spend our whole lives learning to think, to “upshift” our minds into a high mental gear. While this ability is useful a lot of the time—when we’re taking a test, for example, or solving a problem at work—we also need practice mentally shifting in the other direction. Certain activities like falling asleep or letting go of worry, for instance, actually require that we think less not more. Mindfulness is the best way to get better at this skill. You can learn more about what exactly mindfulness is (imo) here: No Seriously, What Is Mindfulness? 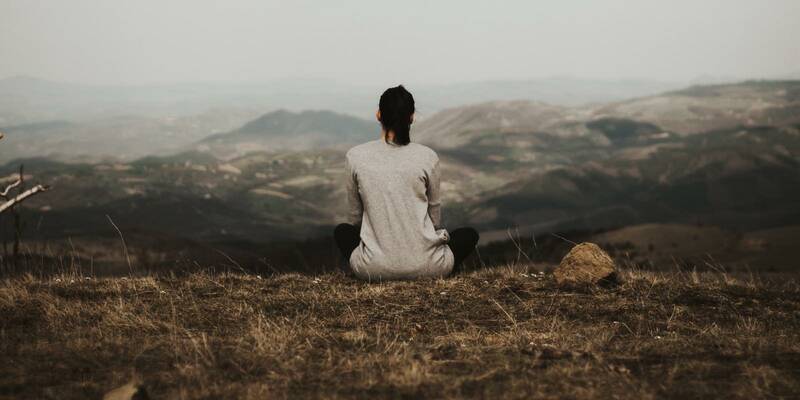 Just like there are numerous health benefits to exercising regularly, establishing a consistent mindfulness practice has a range of powerful benefits. Physical exercise helps our body stay in good shape, which means our body is both A) more effective (stronger, faster, more endurance, etc.) but also B) feels better (fewer aches and pains, more relaxed and at ease, etc.). Similarly, mindfulness helps our mind stay in good shape. By practicing mindfulness and training our attention, we’re better able to use our minds well—to focus more completely, resist temptations and distractions, and think more clearly—but it also results in us feeling better mentally and emotionally. Decreased Stress and Anxiety. The ability to re-focus our attention away from unhelpful thoughts and circumstances is at the heart of any approach to stress or anxiety reduction. What we choose to think about dictates how we feel. So if we want to feel better, we need to learn how to change our thinking. Mindfulness is the most efficient way to do that. Increased Focus and Concentration. The ability to work at or near our full cognitive potential means that we have to be able to resist distraction and maintain focus on the task at hand. Our attention is fleeting by nature, constantly flitting from one shinny object to the next. But we can train it to be still and focused. A formal mindfulness practice is a powerful means of doing just that. Better Communication and Relationships. Ask any couples counselor what the most common problem in relationships is, and they’ll inevitably say, communication. When we have trouble expressing ourselves confidently and clearly, we tend to get “out of sync” with people, especially spouses and significant others with whom we spend a lot of time and make major joint decisions. Similarly, the ability to genuinely listen, without the distraction of our our own immediate wants and desires, can be a surprisingly difficult task. Mindfulness helps greatly with both, and therefore is a great way to improve the quality of our relationships. Increased Follow-Though on Goals. From weight loss to saving for retirement, one of the biggest reasons we all have trouble following through on our goals is mindlessness. It’s difficult to keep the benefits and rationales for our goals front and center in our minds day in and day out. Similarly, it’s easy to get distracted by conflicting benefits or goals—the taste of strawberry ice-cream tends to crowd out the image of how we’ll look if we do manage to drop those 20 pounds. But by learning to better regulate our attention through mindfulness, we can improve our ability to stay mindful on our best intentions and resist temptations and distracting impulses. Better Sleep. Thinking is a form of mental work. And when our mind’s in Work Mode it can’t also be in Rest Mode, which happens to be the only way to fall asleep. If you have trouble falling asleep at night because you can’t seem to shut off the stream of thoughts running thorough your mind, you could do a lot worse than mindfulness. When we’re able to disengage from thinking mode at the end of the day and just be aware, we allow our bodies to relax and simply fall asleep. Before we get too excited, remember that the benefits of mindfulness only come once we’ve established a habit of mindfulness. Just like running on the treadmill for 20 minutes will not instantly make us a faster runner or cause us to immediate drop 15 pounds, practicing mindfulness for 20 minutes once or twice will not instantly lead to feeling calm, relaxed, and more focused. Becoming a faster runner or losing weight requires a consistent and sustained habit of exercise. Similarly, the true benefits of mindfulness only come with a consistent and sustained habit of mindfulness practice. All those benefits are possible, but only if we’re willing to put in the work. They practice at least 5 days a week. They practice for at least 20 minutes per day. Again, like exercise, it’s unrealistic to expect to benefit from a mindfulness practice when we only do it intermittently or when the feeling happens to strike. People who benefit from exercise to it regularly. And people who benefit from mindfulness practice mindfulness regularly. It’s also true that, like exercise, the habit of mindfulness has to be maintained in order for the benefits to be maintained. We can’t expect to “go hard” on mindfulness for a few weeks, get all the benefits, and then kick back and relax. It doesn’t work that way. Mindfulness is a muscle and will atrophy if it’s not used. 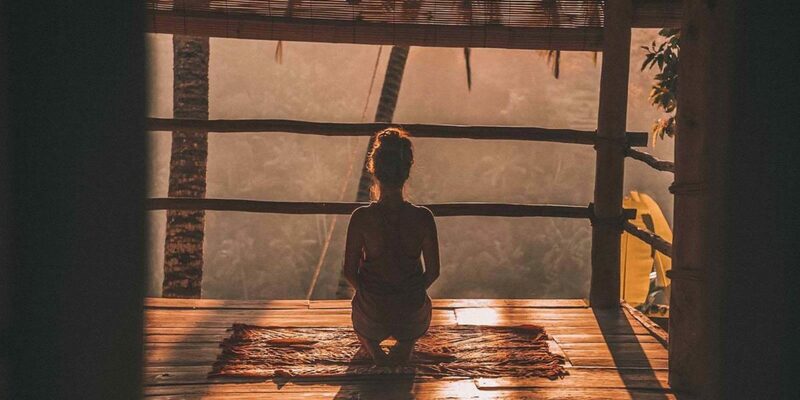 So here’s a pretty stark question anyone who’s considering starting a mindfulness practice needs to answer: Am I willing to regularly dedicate about 2 hours per week to practicing mindfulness? For most people, that’s what it will take to get a consistent and meaningful benefit from a mindfulness practice. Now, I get that this article probably hasn’t immediately inspired you to dedicate two hours per week to mindfulness for the rest of your life. In fact, if anything, you may be feeling more hesitant about it now that I’ve described the commitment required. That’s okay. What I hope to accomplish with the rest of this guide is to show you how to get a real taste or glimpse of the benefits of mindfulness for yourself. Once you’ve done that, you’ll have a much better idea of whether a regular mindfulness practice is really for you. If you’re seriously interested in mindfulness, the minimum requirement for getting a genuine sense for whether it’s something you want to do more of is about 20 minutes per day, most days of the week, for 30 days. If you can at least commit to experimenting with it for a month, you’ll have a good chance of knowing one way or another whether it’s worth it to you. Practicing mindfulness is deceptively simple. But simple doesn’t mean easy. Back to our exercise analogy: Going for a run is conceptually very simple, and yet, doing it consistently is quite difficult. But the difficulty means it’s worthwhile—the fact that it’s uncomfortable means it’s growth-promoting. All of that is true for a mindfulness practice as well. Mindfulness should feel uncomfortable much of the time. That means you’re re-training your mind to work differently. Keep that in mind as you get started. Pick a regular time for your practice. People who successfully establish a mindfulness practice do it at the same time every day. Think about your schedule and decide when you’re most likely to be able to carve out 20 minutes of time. Most people find some time in the morning to be best. It doesn’t have to be first thing in the morning, but it should probably be before you get to the normal work of your day. Personally, I do my mindfulness practice after I’ve showered and arrived at work, but before I’ve started working or anyone else has arrived at the office. This way I’m awake, alert, and ready to practice, but also have minimal distractions. Build up to 20-30 minute practice sessions as quickly as possible. Aim for 5 minutes for the first few days to ease into things. Next, do 10 minutes for the next three days. On the 7th day, try 20 minutes. Paradoxically, many people don’t stick with a mindfulness practice because they go too slowly at the beginning. They spend two weeks only meditating for 5 minutes. The problem is, the main benefits of a mindfulness practice don’t really kick in until you get to longer sessions. Which is why I recommend that you aim to work up to 20 minute practice sessions within the first week. Use a Commitment Device. A Commitment Device is just a term for some kind of external means of holding yourself accountable to a goal. It’s good to do this when you’re first getting started with a mindfulness practice because it won’t be a habit yet. My favorite Commitment Device for establishing new habits is The Seinfeld Method. Make a copy of a wall calendar for the month you’ll be doing your mindfulness practice. Each day that you successfully do your practice, cross off the day with a big red marker. If you miss a day, note how many days in a row you had before the miss and make beating this your new goal. Sit down in a place that’s comfortable but also supports good posture. A dinning room chair or the floor in front of a couch are both good options. You can do it laying down as long as you don’t start falling asleep. You don’t have do cross your legs, or hold your hands up in any particular way. Just sit comfortably. Close your eyes and focus your attention on your breath—on what it feels like to breathe. What are the sensations associated with air coming in through your nose, filling up your lungs, and then coming back out again through your mouth? Your only goal is to be aware of and notice how it feels to breath. Your job is to feel, not think. Any time you find yourself drifting into thought, bring yourself back to sensation. You’re not doing any kind of special deep breathing here, just regular, normal breathing. The point isn’t to slow your breathing down or even relax. The point is to train your attention. How you breathe doesn’t matter; it’s the focusing that’s important. That’s it. Seriously, there’s nothing else to it. Remember: Mindfulness is simple but not easy. The biggest obstacle you will encounter starting a mindfulness practice is your own judgy mind. Remember that mindfulness is a practice—and at this point, and experiment. It’s not a competition or test. It’s okay to get distracted If you notice yourself getting distracted or thinking about things (e.g if you’re doing things right, how much longer ‘till it’s over, etc. ), gently shift your attention back to the sensation of breathing. This is completely normal and to be expected. In fact, getting distracted from simple awareness mode into thinking mode is a necessary part of the practice. The whole point of practicing mindfulness is to A) notice when you’ve started thinking, and B) shift your attention back to the sensation of breathing. It’s only when you’ve gotten distracted that you have the opportunity to work your mindfulness muscle and bring your attention back to your breath. I’ve been doing formal mindfulness for a long time and I’m lucky if I can go 10 seconds without a distracting thought or image popping into mind. And that’s okay. It just means I get lots of opportunities to practice “downshifting” from thinking back to awareness and the sensation of breathing. Try not to get too judgy with yourself. As you start practicing, some sessions will feel “easier,” like it’s not that difficult to stay focused in the present on your breath. But some sessions will feel more difficult, like your mind just won’t leave you alone, constantly bombarding you with distractions. That’s okay. One is not better than the other. It’s not a “good” session if you never get distracted or a “bad” session if you get distracted a lot. It’s all just practice. All you need to do is sit down for a fixed amount of time and try to hold your attention on being aware of your breath. Ironically, most people struggle with mindfulness because they overthink it. It’s not complicated, it’s just hard. If you follow the above steps and just do it consistently for a few weeks, you will start to see and feel the benefits which will make it easier to push through the difficulty and keep practicing. Mindfulness is the mental muscle that allows us to “downshift” from thinking mode into awareness mode. Some benefits of mindfulness include lower stress and anxiety, increased capacity for focus and concentration, improved communication, stronger will power and follow-through, and better sleep. To be successful with a mindfulness practice you need to be able to commit to about 20 minutes of practice most days of the week. The only way to know if mindfulness will truly be helpful for you is to experiment with it for about a month. Aim to practice at the same time every day, work up to 20 minute sessions as quickly as possible, and use a commitment device like The Seinfeld Method to keep you on track. Don’t be too judgmental with yourself and your practice. As long as you sit and try to pay attention to your breath for your allotted practice time, that’s all that matters.